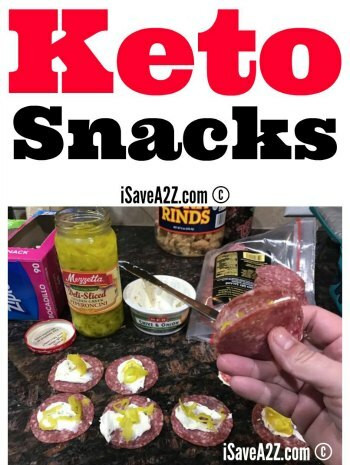 Doing this Keto way of life has certainly made me become a bit more creative with my food choices but even more with creating fun meals I like to eat. This is dinner we had the other night and it was a ton of fun! Not only was it fun to make but it was delicious to eat too! If you’ve seen the video, you can tell I used a bbq sauce and finding a sugar free bbq sauce has certainly been a challenge. 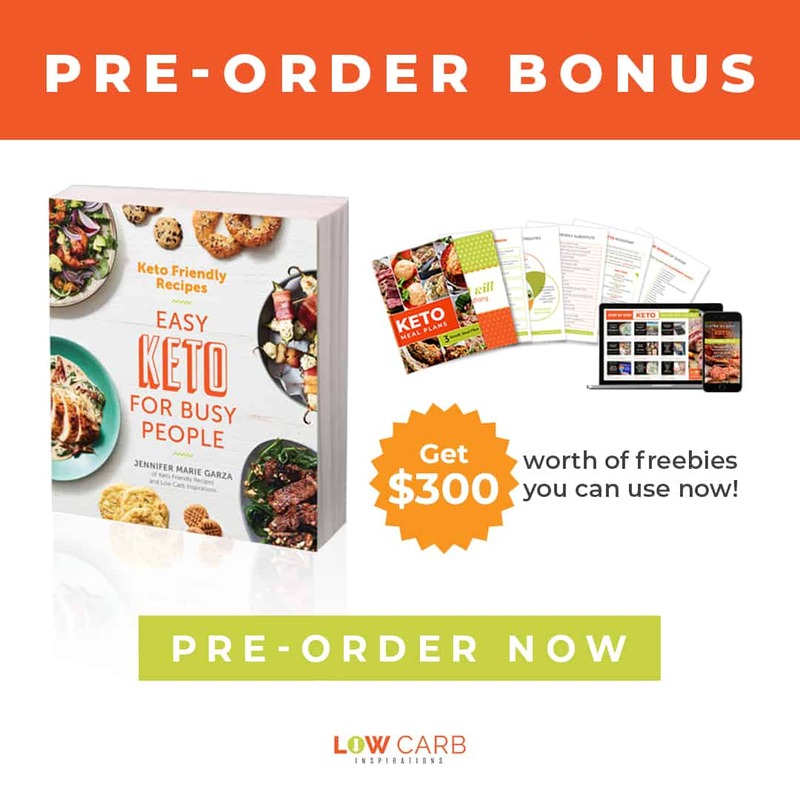 So much so, that I might come up with a homemade bbq sauce recipe that’s keto friendly. But for now, here’s the sugar free bbq sauce I used. You might be able to find it local but it’s becoming more and more popular, so you might have to end up purchasing it on Amazon if it’s sold out. It’s totally worth it though! First, we cut all the avocados in halves and removed the pit of each. Then we peeled the avocado skins off of each half. 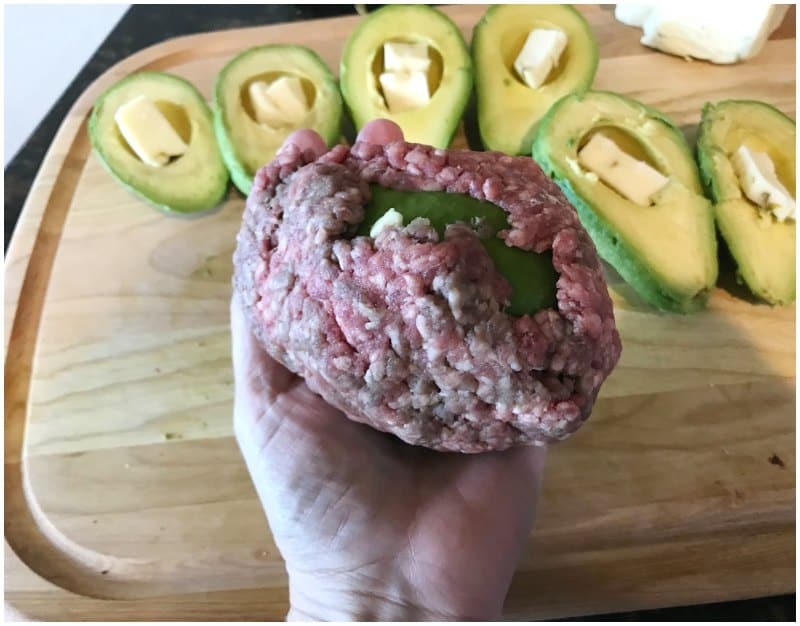 I cut a cube of hatch pepper cheese to place in the center of each avocado. I guessed at the size of each and added a bit more to fill the center completely if needed. 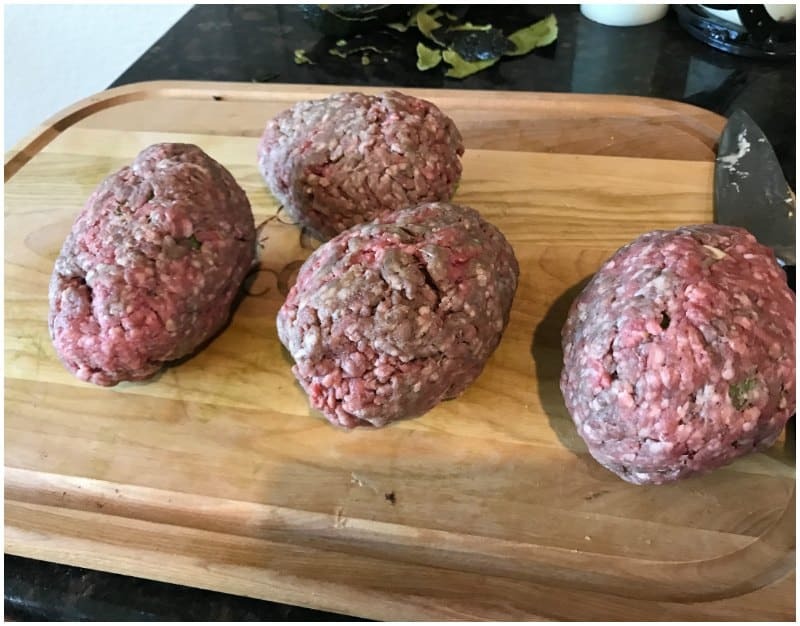 I divided the ground beef into 4 different sections evenly. I seasoned the ground beef before I used it with salt and pepper. 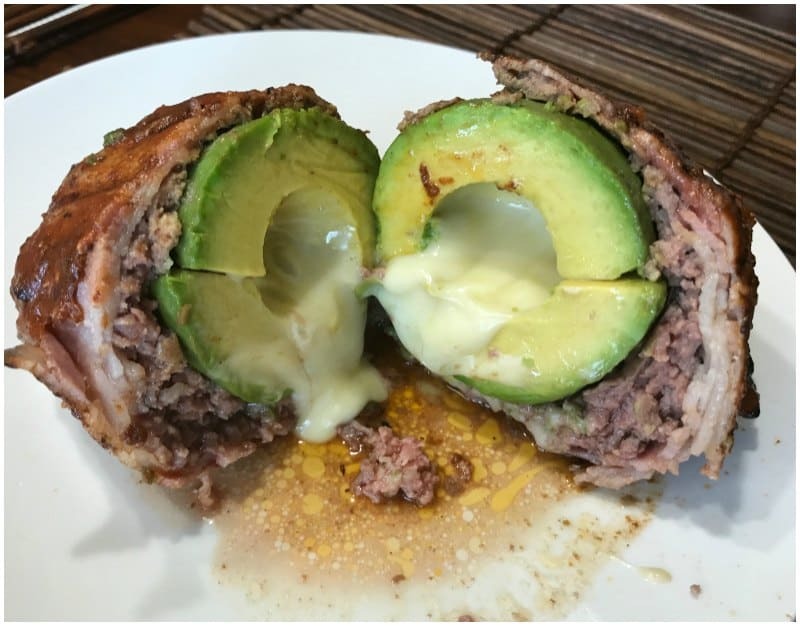 I molded the ground beef sections around each full avocado after it was stuffed with cheese. 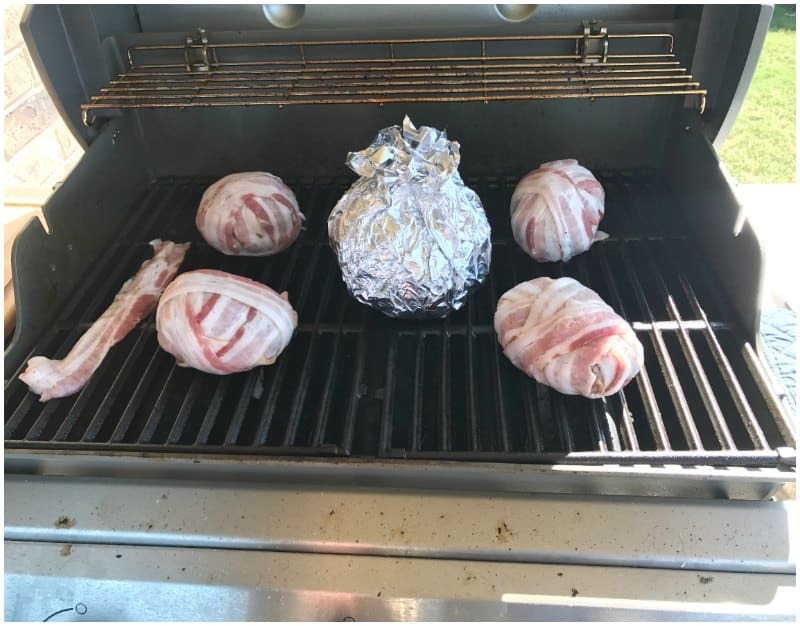 Then I layered thin-sliced raw bacon around each beef bomb until it was covered completely. We grilled them on the outdoor grill for about 30 to 40 minutes. The size of the avocado will depend on how long you grill it. 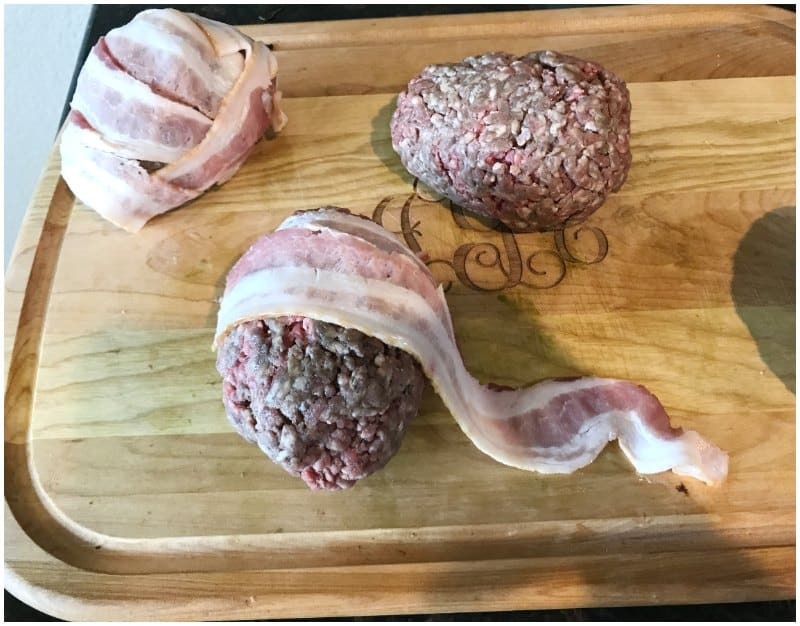 You need to make sure the ground beef and bacon are completely done. 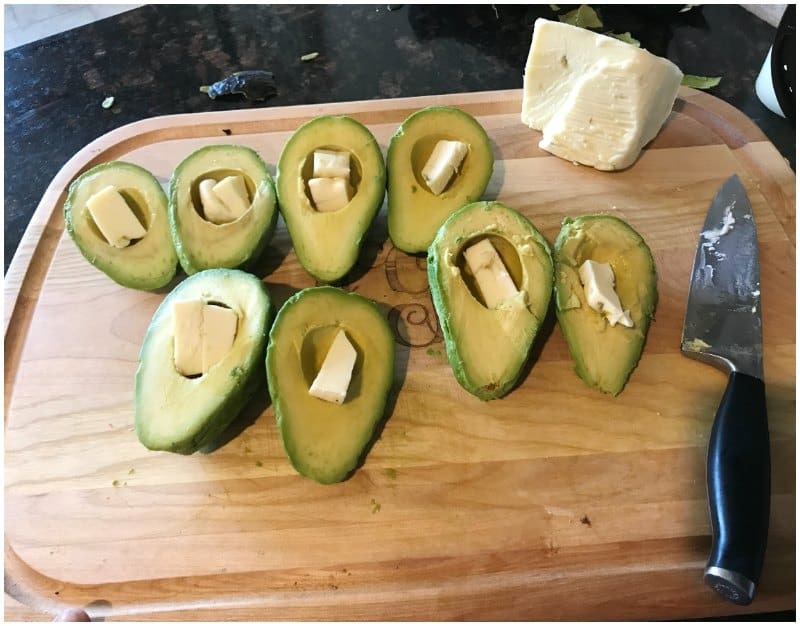 The very center of the avocado will heat just enough to melt them cheese. 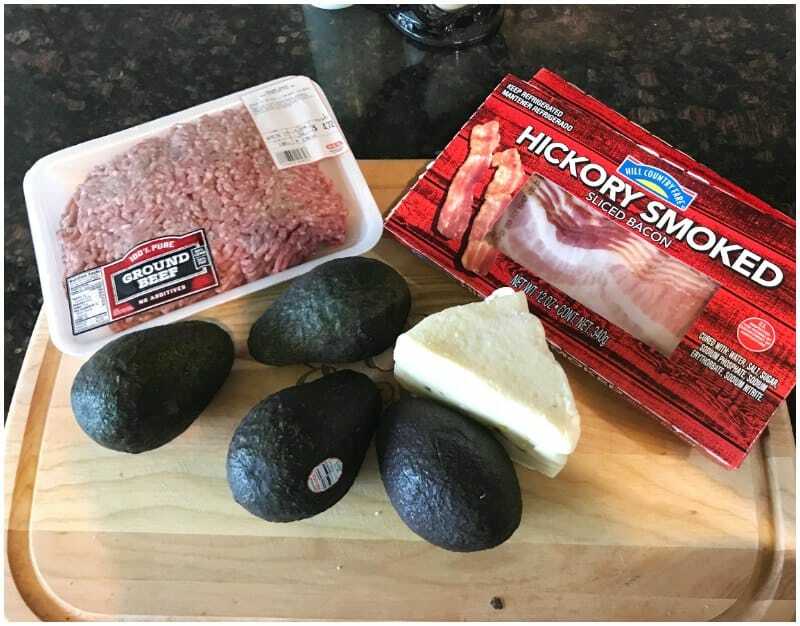 I would highly suggest you use the smaller avocados for this dinner idea. By the time you layer all of these ingredients, they will be way bigger than you imagine. Another tip about the avocados. Make sure they are not completely ripe when you use them. They need to be a little hard. If they are too ripe, they will be too soft for you to mold the ground beef around. (go ahead and ask me how I know this – LOL) Besides, did you know that avocados will ripen with heat? They will. You can put an avocado in the oven on a low temp (200 degrees) to speed up the process. You will need to cover each avocado with tin foil before heating it in the oven. That was a neat little trick I learned a long time ago. Finally, when the avocado beef bombs are almost done, baste them with the sugar-free bbq sauce. Serve warm and enjoy! We certainly enjoyed it! Oh, and in the video, you can see a huge ball of tin foil. 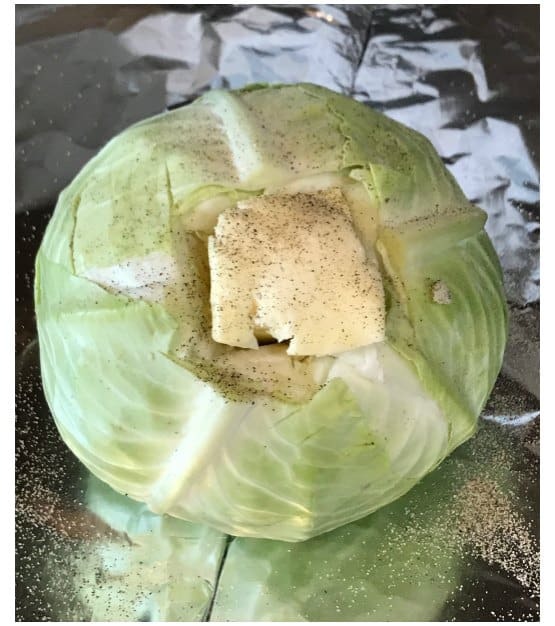 That is a huge head of cabbage with a block of Kerrygold butter in the center of it grilled to perfection! This was the perfect side dish for our meal. 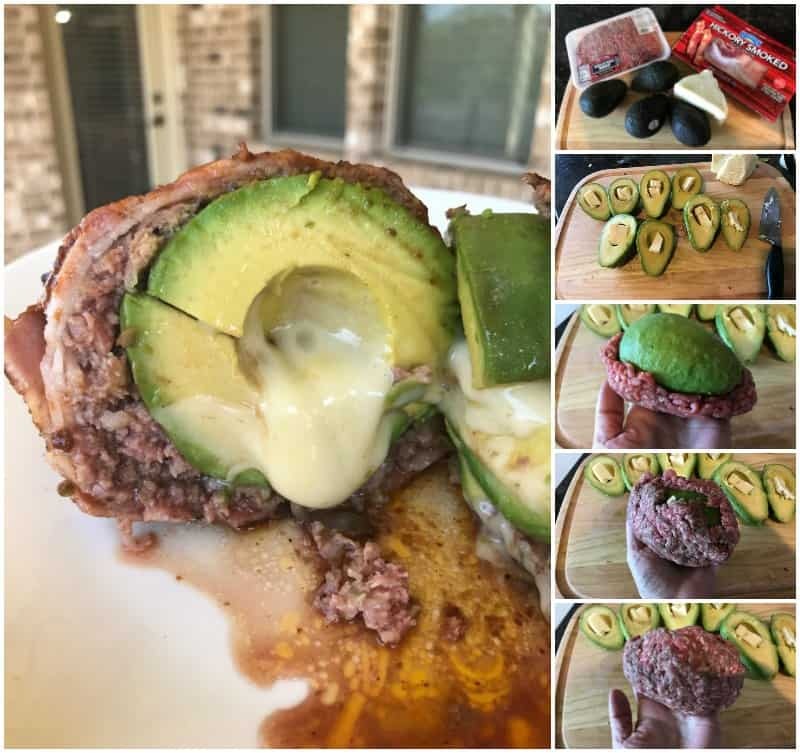 I also feel the need to mention that these avocado beef bombs are really, really filling. I only ate about 1/3 of mine. You will need to figure out the nutrition label in your own app (I use MyFitnessPal) to determine the macros. 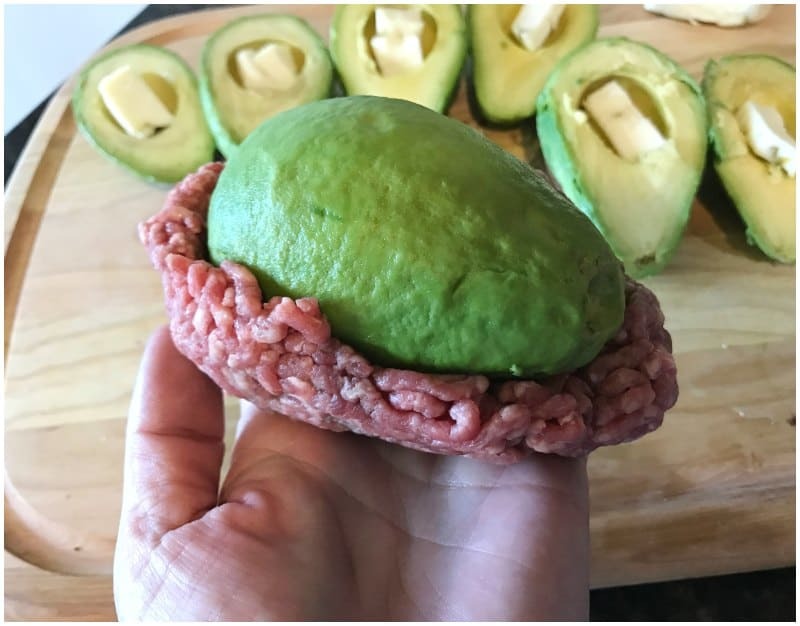 The cheese and size of the avocado will make a difference. The amount you count per serving will also make a difference. 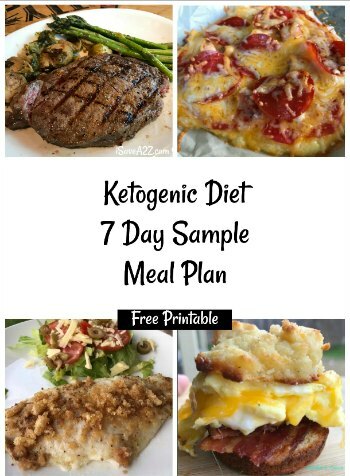 By Jennifer on May 3, 2017 Grilling Recipes, Keto Dinner Recipes, Keto Friendly Recipes, Keto Lunch Recipes, Main Dishes, Recipes. Thanks! This turned out really well with mozza. I also added a dash of cayenne at the centre, and cooked it in the oven. Please tell me you have a book of these recipes so I have them all in one place? 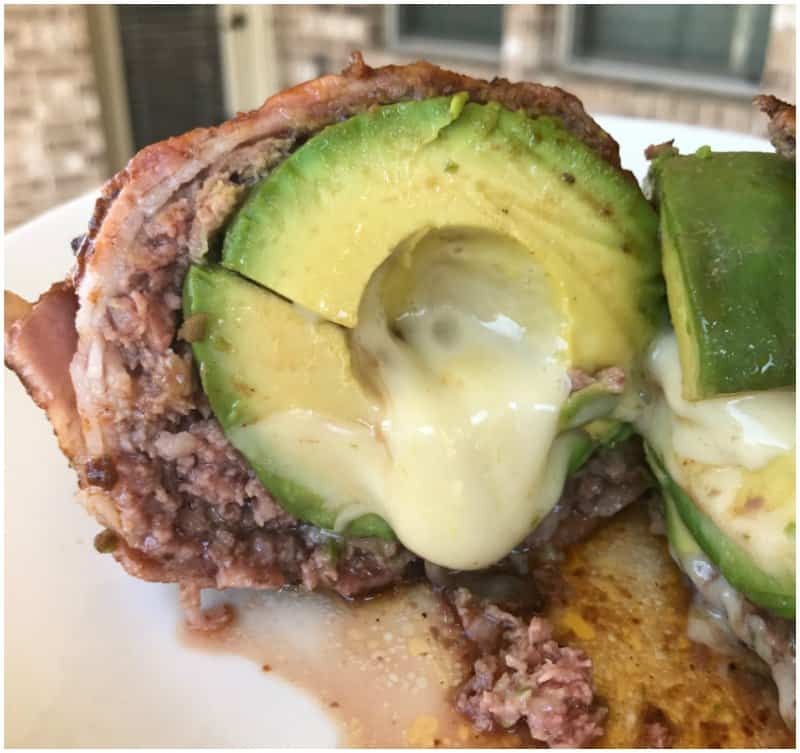 I can’t wait to try these bacon cheeseburger avocado bomb things! Yummy!!! I’m going to make the chicken/ham/cheese casserole tomorrow! What do you suggest if I put them into oven? 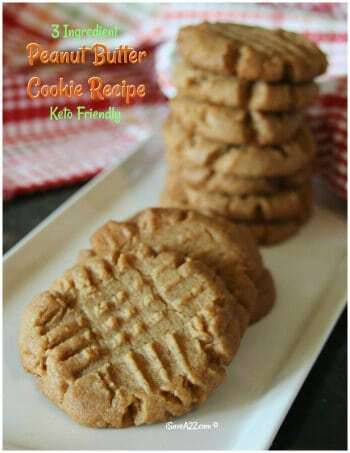 I would think you could make these in the oven with no problems at all. I would attempt them at 350 degrees for about 30 minutes if I had to guess. 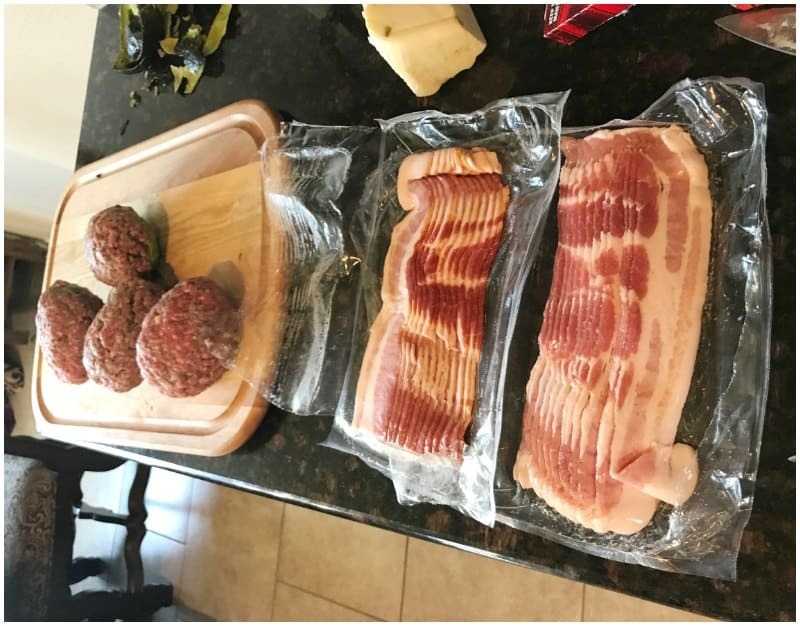 The bacon might not come out as crispy but it will still be delicious!